I had the pleasure of meeting Michael Westerberg when I was in Napa Valley recently. My friend Marla Schulman had introduced us while we were taking in the local Farmer’s Market. As we were enjoying the California sunshine, we started talking about one of my favorite topics – wine! Michael along with his wife and son started Hardball Cellars four years ago combining their passion for baseball, business, and wine. He had my attention – three of my favorite things! Michael told me that his grandparents were winemakers and his parents soon followed in their footsteps. Easy to see how is fascination with wine started at a very young age! You can read the whole history of how it all began here. When his kids were young and competing in dance and baseball tournaments around the country, they would often stop at vineyards along the way to enjoy a little vino. What fascinated me though was 25 years ago, a local Napa grower had put an ad out for u-pick Zinfandel grapes in the paper. I would have died if I had seen that!! Michael took his family out there to pick the grapes and the farmer destemmed them and put the harvested fruit into his garbage can fermenters. Those humble beginnings led a lifelong dream of wanting to create his own wine that he would share with friends and family. Michael had often talked to his mentor that if she ever found anyone interested in selling him grapes, he was ready. He received that call. At about the same time Michael’s son graduated college after a great collegiate career in baseball. With his son and his wife Cindy, they were ready for the next chapter in their lives. 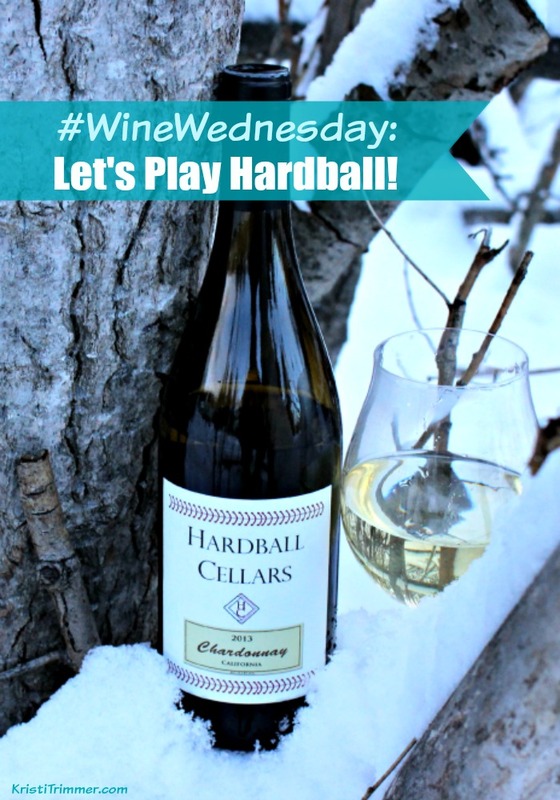 Hardball Cellars became a fully bonded winery in July 2013! A dream and passion for baseball, business, and wine was born! They source their high quality fruit and make big bold wines that are rich in character and flavor. My kind of wines! Before I left Napa, Michael reached out as he wanted me to try his wines. I felt honored! What floored me was that he had paid attention to what I ordered at lunch the day before – a Chardonnay – my favorite wine on a warm Spring day. He brought me his 2013 California Chardonnay and 2012 Sonoma Los Caneros Merlot. I had only been back to Alaska a couple days and had a craving for a glass of wine. It was quite cold out, and I was just as surprised as you that I didn’t want a red wine, but really wanted to break open that Chardonnay! 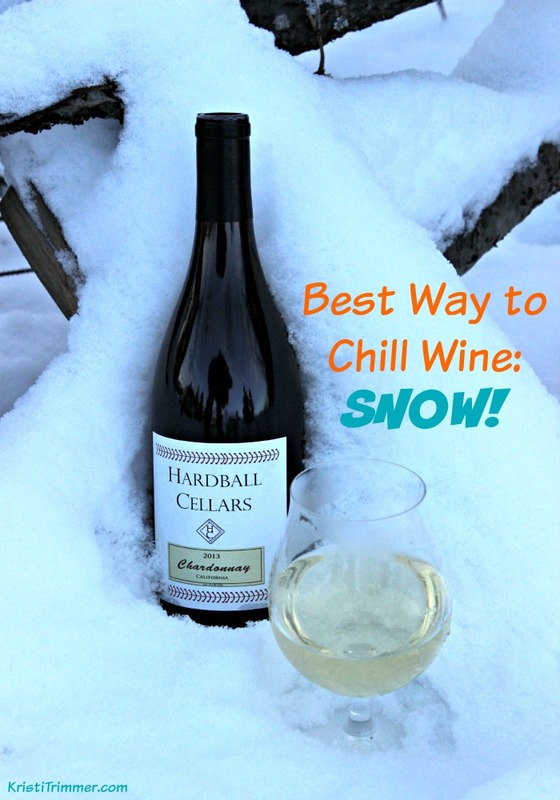 I was so glad that Hardball’s Chardonnay did not disappoint! After just the first sip, I tasted the buttery notes that come from the French oak barrels coupled with the crispness that I was certain was from green apples and pears. I never look at what is in the wine until after I have sampled it. Sure enough – see below for the Vintner’s notes – there were definitely green apples and Barlett pears that I was tasting. This is the wine you want to pour after a long day and you want to unwind a bit. After just half a glass, I had a permanent smile on my face. That good. I would love to have guests over, pour this wine, and have a rich-tasting fish dish like lemon-butter halibut served with goat-cheese infused quinoa on the menu. Yum! This vineyard experiences warm days that provide full ripeness in our Chardonnay, resulting in lush fruit flavors we love, while cool breezes at night from the nearby Delta and San Francisco Bay keep acidity levels high help to make this a very food friendly wine. 100% Chardonnay, these grapes are hand picked during the early morning hours to preserve freshness, then hand sorted and gently de-stemmed and pressed at the winery. We ferment 100% of the juice sur lie, and aged in a combination of neutral French oak barrels for nine months, in two separate barrels, with two separate yeasts, then blended at bottling. This Chardonnay has rich golden-straw-color, with hints of green apple, melon, bartlett pear, light butterscotch, graham cracker, backed with a subtle creamy lemon drop finish. The neutral oak resulted in crisp wine, with hints of oak, and excellent acidity, to be easily paired with foods. Barrel fermentation and aging is obvious in the wine, with nice weight and roundness and a nicely developed toasty finish. We have experienced excellent pairings of rich creamy sauces with all types of pastas, as well as pizza, poultry, and one of our favorites is olive oil salt and pepper roasted asparagus with plain creamy goat cheese. Addition tasty pairings of seafood in lemon butter sauce, light flavored cheeses like mild cheddar, gruyere, creamy goat cheese and provolone pair well. Disclosure: I received two bottles of Hardball Cellars wine. You can buy the wine directly from their site or find a distributor in your area. I do not receive any commission from the sale of this wine. Other links within this post contain affiliate links that I earn commissions from. Example, if you click on the above link for that awesome wine glass and purchase anything from I make a small commission, no matter what you purchase. This is how I pay for my travels and this blog, because you know, I am not independently wealthy! Thank you for supporting me and my crazy adventures around the US, and especially in Alaska!